WordPress provides you with a wide variety of themes, some are available for free while some are Premium theme that can be bought by spending some bucks. These Premium themes have wide range of price. There aren’t too many premium WordPress themes with $100+ price tags. Most premium WordPress themes today typically cost around $30 – $70 each. However, there are some much more expensive WordPress themes available. Bordeaux is an amazing WordPress theme. You’ll enjoy a fully responsive theme, allowing your customers to easily look at your site right on their phone, and you’ll enjoy better SEO, great performance, and excellent speed. Enjoy great features like a testimonials page, photo gallery, rates for rooms, and a blog. Plus, it works well with WooCommerce and the Event Calendar. 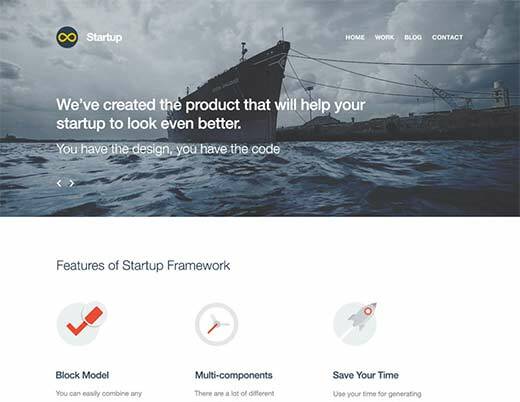 Startup Framework could be a theme framework for WordPress design agencies, startups, and businesses to quickly build stunning and practical websites. It comes with twenty-five able to use samples. Startup Framework comes with a hundred components that you will simply drag and drop. There are parts for content areas, header areas, feature boxes, evaluation tables, contact forms, call to action, sliders, videos, and almost any component that you simply will consider. Zealot is a perfect WordPress theme for news and membership sites with a story to tell, featuring full support for Aesop Story Engine and all of its options. Zealot is an exception to the Aesop theme collection, as it’s the only theme that supports both a sidebar and a full-width post structure. Fable is a hand-crafted storytelling theme for WordPress, with full support for Aesop Story Engine and all of it’s options. With a unique magazine-style story layout and large cover images, Fable is sure to make any story stand out with style and grace. Customize Fable with a link and accent colors, set your own footer text, or upload your own logo to make Fable your own. Imperial is an interior business WordPress theme. Highly recommended for small and big firms providing interior / Architecture services. The layout looks beautiful at any size, be it a laptop screen, iPad, iPhone, Android Mobile or tablets. Plus, anyone can update with his need using drag and drop Pagebuilder. You may also want to see our checklist of Best Cheap WordPress Themes.